The roof and its underlying structure is one of the most important components of your home. When you think about the protection of you and your family that roof provides, you have to agree a durable and hard wearing material is required. When your roof starts to reach the end of its life cycle, if it hasn’t been well looked after it may be time to replace the roof. Your local roofing experts GT Roofing can provide expert guidance on what stage your roof is at and recommend strategies to prolong your roof life, or recommend that your roof needs replacing and provide a quote to do so. How do you know which option to take though? Should you replace your roof with tiles, a strategy used across the country for more than half a century? Or do you look to more recent technology in roofing like COLORBOND® steel roofing? Both have their advantages and disadvantages and this is what we want to tell you about in our two part article about roof replacement options. It doesn’t matter if you are replacing an existing roof or putting the roof on a new home, as long as you have the right information about benefits versus cost and risk, installation issues and what if any resale value applies, you should be able to come to a qualified and suitable solution for your home. That’s what we plan to help you with in this information series; so read on for the benefits of COLORBOND® or tile roofing. There are so many benefits to both, we discuss the other points in part two of the series. Every roofing product on the market has its benefits and shortcomings. We could talk about it for days, but we are most commonly asked about COLORBOND® and Tiles and their competitive benefits. Sometimes though, the discussion is moot, when the design of your roof dictates which option you can take on; so before making too many decisions, consult a roofing expert to make sure you have the ability to choose. 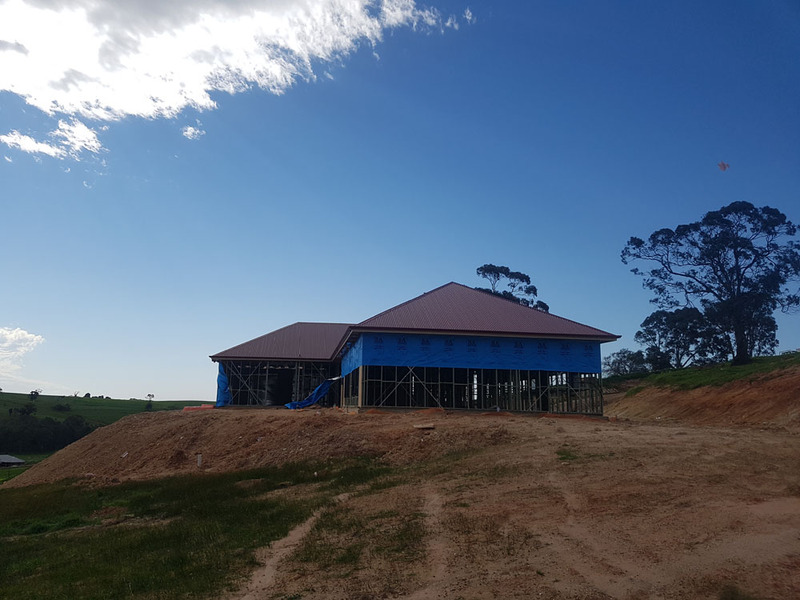 Whilst tiling roofs has over two decades of industry use over COLORBOND® steel, the development process is more extensive when it comes to COLORBOND® improvements. COLORBOND® is created through a high tech process and they are constantly innovating and improving the product, and its backed by a hefty warranty and guaranteed for between fifteen and thirty years depending on location. So what are the benefits? COLORBOND® is at least 80% lighter than tile materials which means that not only is it easier to install, but the load on the frame is also lessened. On a new build this can mean a cost saving in the underlying materials supporting the roof, in a replacement it could mean you pay less labour costs. COLORBOND® can also be installed on low pitch or flat roofs, whereas tiles require significant pitch to be effective in avoiding leaks into your roof. Something worth considering if you have height restrictions. Its no secret, COLORBOND® is know for its life cycle of around 70 years with proper maintenance and care, because COLORBOND® is built to Australian conditions. Whereas tiles have a tendency to start to crack and wear over time. Trying to replace a cracked or broken tile could lead to further damage as well, where COLORBOND® is easy to maintain and clean and replacing sheets is less prone to causing further damage.